Gold futures allow for the future delivery of gold at a preset price. 1. What Is Basis Risk? Backwardation is a condition in the futures market used to describe when futures contracts with a future delivery date are priced lower than the current spot price of the underlying commodity. 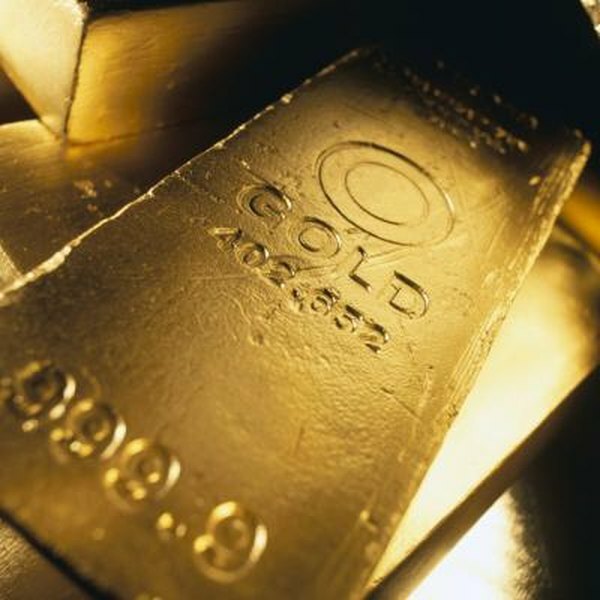 The nature of the gold markets make it difficult for backwardation to occur, so when it does, gold market watchers may see the occurrence as an important signal for the price of gold. To illustrate backwardation with an example, assume the current spot price for gold is $1,500 per ounce. The futures contract for delivery in 6 months is priced at $1,450. The future price is lower than the current spot price. This situation -- backwardation -- should not exist, because someone who owns gold could sell it for the $1,500 spot price and buy the futures for $1,450, locking in an automatic $50 per ounce profit. The spot and futures markets are usually too efficient for easy arbitrage -- profits from price discrepancies -- like this backwardation example to exist. At the end of 2012, the gold futures prices were at a more normal pricing structure. The spot price and current month futures price were at about $1,662 per ounce. The six-month futures contract price was $1,667 and the one-year futures contract price was $1,673. The higher prices for further out futures reflects the carrying cost of gold. Someone who owns gold today will typically pay storage or other costs to hold gold, while there is very little cost to carry a futures contract. This cost differential is reflected in the futures prices for the longer-term contracts. Backwardation in the futures markets is usually a result of a shortage of the commodity for sale on the spot market. The lower futures price cannot be arbitraged because there is no commodity in the hands of traders to sell. Agricultural grains futures commonly experience backwardation. There may be a current shortage of the grain, but the markets know plenty will be available after the next harvest, so the longer dated futures contracts trade at lower prices. Since there is a steady spot market supply of gold, the precious metal's futures prices should not exhibit backwardation. In spite of how prices should work, gold futures have, on occasion, entered a backwardation pricing situation. The lower price of gold futures is viewed by some market observers as a lack of faith in the markets and "paper" versions of gold. If the backwardation event is short and of small relative value, the best explanation would be a short-term imbalance of bid and ask orders in the futures markets. Casey Research: Is Gold Backwardation Now Permanent?